A Lagos High Court sitting in the Igbosere area has sentenced a cook identified as Janet James, to 14 years imprisonment. Janet, 34, was sentenced for beating her eight-year-old brother, Saviour James, to death for stealing meat from a pot of soup on August 10, 2009. Justice Adedayo Akintoye convicted her on Monday following her plea of guilty to an amended one-count of manslaughter. The judge said the 14-year imprisonment would take effect from August 21, 2009, when Janet was remanded by a magistrates’ court. Justice Akintoye noted that the defendant entered a plea bargain agreement with the prosecution on Monday last week at the High Court. The sentence and plea bargain agreement stated, “The defendant has shown remorse for the offence of manslaughter committed on the 10th day of August 2009 against the person of one Saviour Effiong. “The defendant pleads guilty to the offence as charged. The defendant has agreed to serve 14 years jail term from the date of remand by this honourable court. The defendant gives an undertaking to be of good behaviour, upon the completion of the jail term. “In view of this, therefore, the defendant, Janet James, is hereby found guilty of manslaughter contrary to Section 317 of the Criminal Code, Laws of Lagos State, 2003, and is accordingly convicted of same. I have taken into consideration that this is a 2013 case. I have also been guided by the plea and sentencing agreement entered into by the prosecution, the defendant Janet James and the defence counsel. Janet was re-arraigned before the judge in 2013 on one charge of murder contrary to Section 317 of the Criminal Code, Laws of Lagos State, 2003. She had pleaded not guilty to the charge. 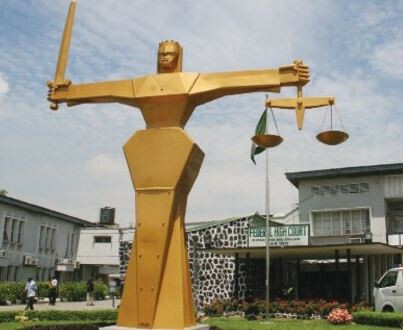 The prosecution counsel, Abiola Gbadamosi, had told the court that the defendant committed the offence at about 8pm on August 10, 2009, in the Ilupeju area of Lagos State.